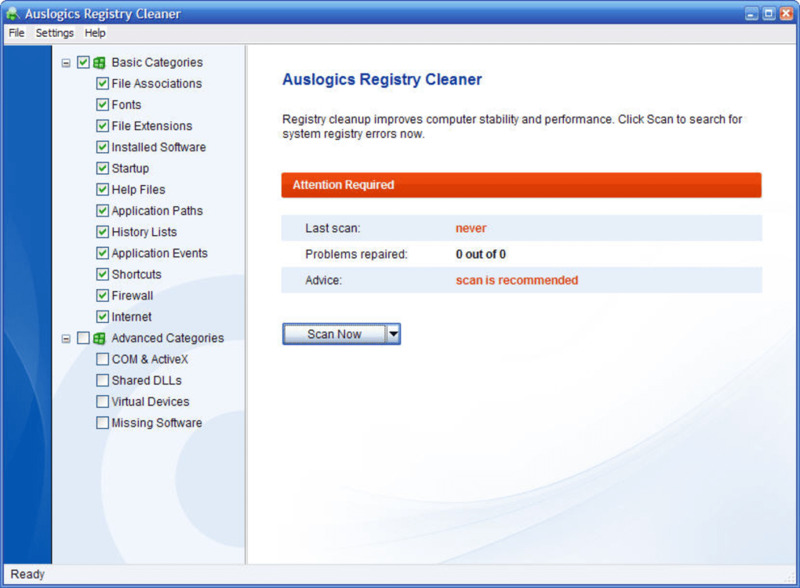 Auslogics Registry Cleaner takes good care of the Windows Registry, one of the key elements in any Windows computer. 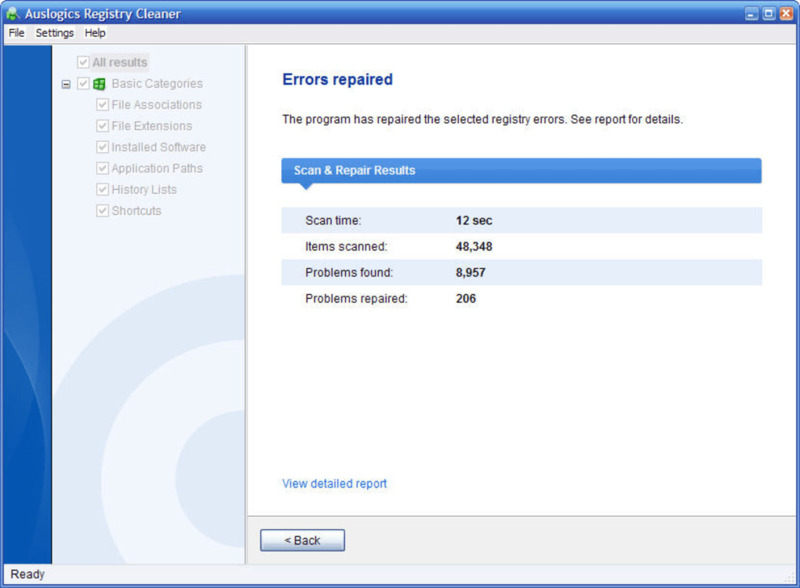 With Auslogics Registry Cleaner you can analyze the Registry in search of any possible problems: broken entries, non-existent file associations, uninstallation leftovers, and other elements that can turn the Registry into a real mess. The good thing about Auslogics Registry Cleaner is that it's easy enough to use for everyone, computer newcomers and tech geeks alike. 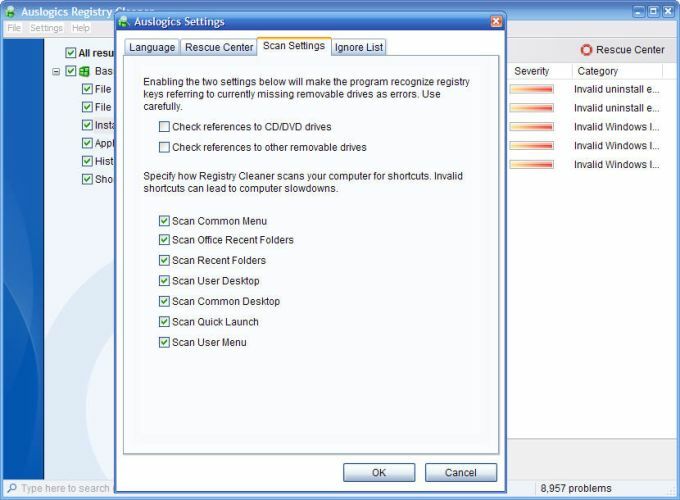 The program lets you choose which Registry categories you want to have scanned, and also if you want just to scan or scan and repair at the same time. 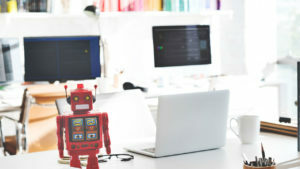 Results are displayed in basic or detailed format – for novice or advanced users, respectively – and include a complete HTML report. And if you decide to go ahead and repair those errors, Auslogics Registry Cleaner creates a backup copy first just in case. 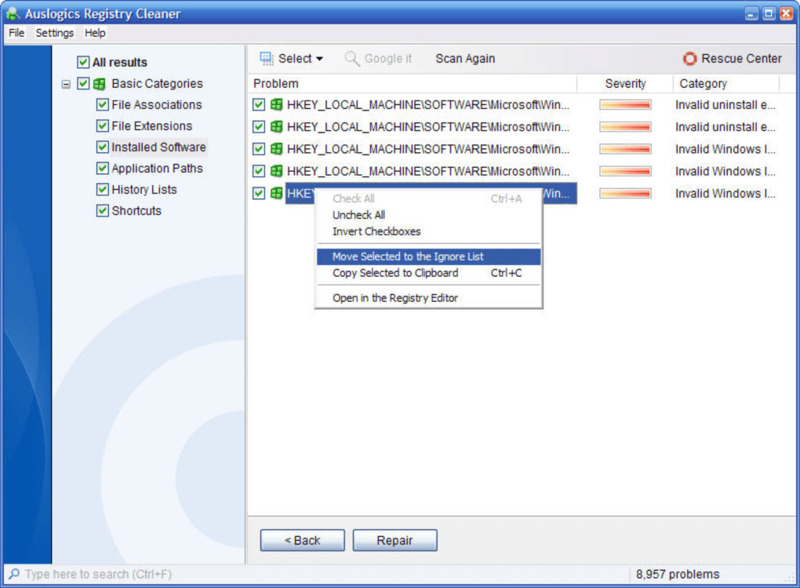 In short, Auslogics Registry Cleaner is an easy-to-use, very efficient tool with which you can easily keep your Windows Registry shape. On the downside, it doesn't have any scheduling tools, so you'll have to remember to use it from time to time. 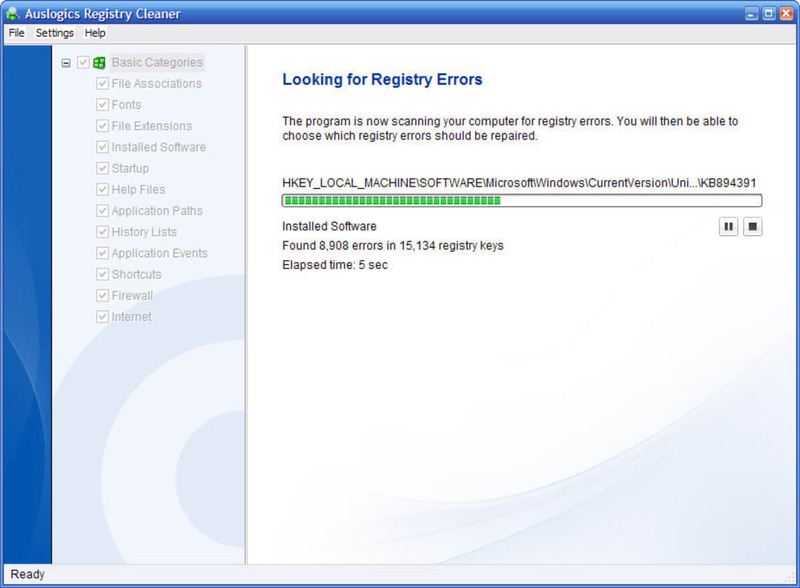 With Auslogics Registry Cleaner you can easily keep Windows Registry free from errors, no matter what your technical knowledge is. Regrouped the categories list. The new category presentation is more natural and allows for more convenient selection of desired categories for scanning and fixing. Added free space availability check before creating Rescue Center backups. If there is not enough free space on a disk, user has the option to abort the operation or proceed without creating a backup. Fixed memory leaks, optimized code and algorithms, which improved the speed of practically every tool in the program. All modules that work with hard drives were optimized to correctly process large data volumes, namely the Rescue Center will now correctly create and restore backups larger than 2 GB. Made numerous corrections to language files. Made numerous changes to modules’ interface to make them more convenient and easier to work with. Improved reports and operation results display in response to user feedback. Now this information is easier to understand. Added partial Windows 8 compatibility. Full compatibility will be implemented in BoostSpeed version 5.4 Corrected all known bugs. Corrected installer errors, optimized program installation and uninstallation. Cleaner made FUNDAMENTAL mistakes, and nearly ruined my Windows!. First, i've been an it professional for over 20 years, so i'm not your typical computer user. Anyway, i've been using 2 free registry cleaners in tandem with one another for years without issues. Regardless, i downloaded auslogics latest registry cleaning offering last week, and while i was initially impressed that it found hundreds of "bad" registry entries on its first 2 passes, i was not impressed when i started having issues with various programs, and hardware drivers soon thereafter. Turns out it removed numerous valid controlset and userdata//components which negatively affected hardware and software installed on my computer. 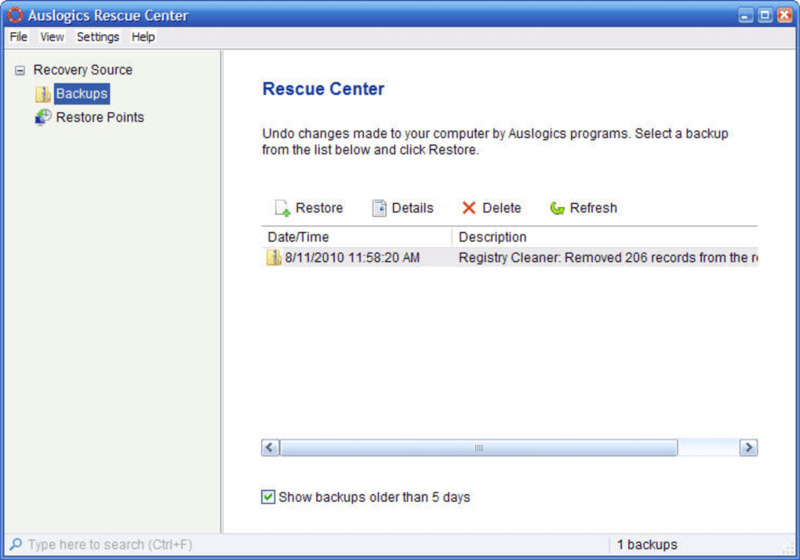 I trusted auslogics while i was reviewing its proposed deletions; however, i had it backup its changes just to be safe. Thankfully, because i used its backups to restore what it had removed, rebooted, and all was well and good again, but not until i'd spent a day trying to limp through to a solution. I use auslogics defrag program, so i'm very disappointed it made such fundamental mistakes cleaning my registry. 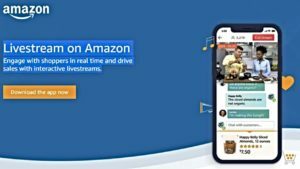 If you choose to install and use this program, do so with caution, and make sure you have the cleaner save a backup of changes! Able to select which parts of registry to test. Ability to select individual entries to restore from backup sets. Needs to have ability to export registry changes to text file. 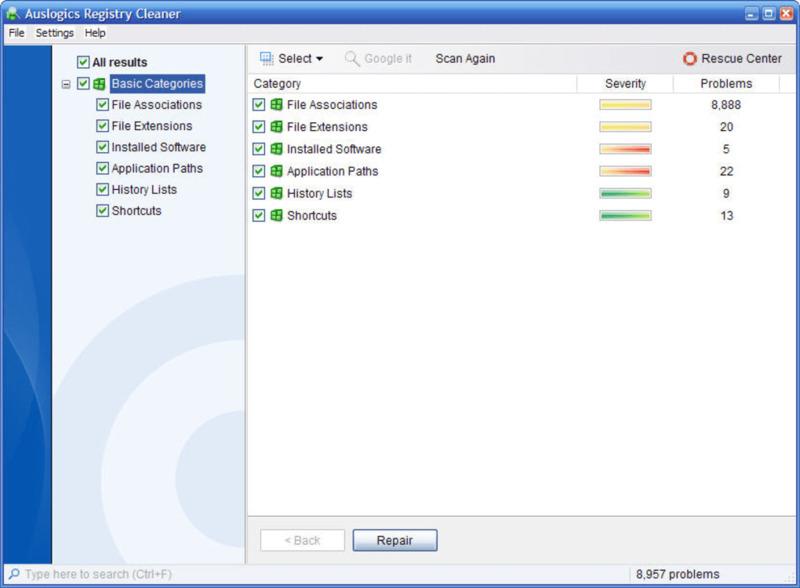 What do you think about Auslogics Registry Cleaner? Do you recommend it? Why?